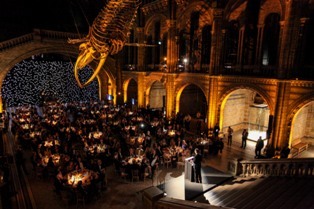 Special guest Sir David Attenborough and event host Kate Humble joined 360 guests to celebrate 25 years of the Whitley Fund for Nature providing funding, profile and training for global conservation projects. 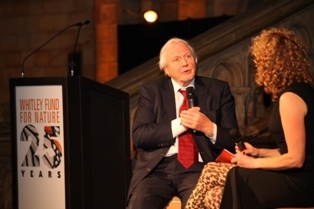 Kate Humble, one of the charity’s ambassadors, introduced the evening and later presented a question and answer session with Sir David Attenborough, himself one of Whitley Fund for Nature’s supporters since 2005. 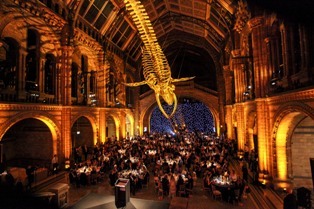 Whitley Fund for Nature’s 25th Anniversary Hope Gala at the Natural History Museum, included a sustainable fashion show and Silent Auction on-line going live in the room bidders winning amazing holidays, unique experiences, and one-of-a-kind pieces available. All funds raised going towards their target of raising £1m in conservation funding for their 25th Anniversary Fund. Catering was provided by Zafferano who delivered a three-course meal for the 360 guests in attendance. Event production suppliers Wise Productions were on hand to transform the space with AV, sound and lighting. The Whitley Fund for Nature has given £15 million to support the work of 200 local environmental heroes benefiting wildlife and communities in more than 80 countries.